The Counterheight Office Chair takes 24/7 seating to new heights. A stool height 24/7 chair with a 550 weight capacity makes this a very unique chair. 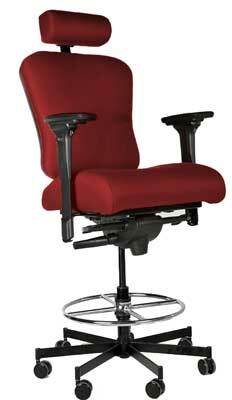 Chair is available with adjustable footrest, seat depth adjustment, optional headrest and available with glides rather than casters if needed.